back to school backpack Review Ruck Ruck Backpack Speck The Ruck The Ruck Backpack at Speck means some serious business for back to school! 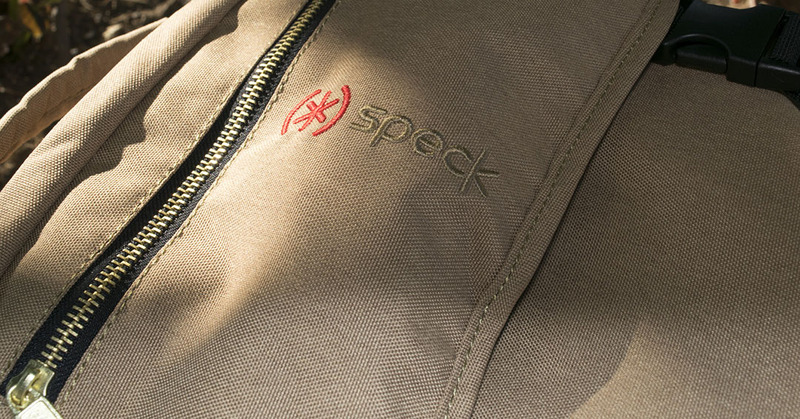 The Ruck Backpack at Speck means some serious business for back to school! Speck is in the business of providing smartphone cases, accessories and backpacks for the mobile lifestyle that we live in. This is where the Ruck Backpack at Speck comes in for some serious business for back to school! Part of the season for many at this time of the year is to get into the swing of starting back at school, whether this is in high school, university or college. There’s always a lot to get done and a lot to look for when it comes to supplies. The Ruck Backpack is one of the latest from Speck and it’s definitely aimed the more tech savvy crowd. You have 2 main compartments that give way to a multitude of other nooks and crannies to fill. The back part allows you to store your laptop, notebook and there’s even room if you want to throw in a gaming laptop. There extra space outside of the sleeve so that you can add books, binders and the likes. The front compartment gives you access to sleeve pocket that easily accommodates a tablet with 2 dedicated pockets that allows for storage while leaving the primary space available to throw in a pair of shoes. Within the front part, I’ve also stored in there a tablet and fitted one of the pockets with a battery charger and 3 cables that can charge a USB-C device, a micro USB device or multi cable that can do them all including lightning. The back part which houses my laptop, also has room for my Nikon D5300, a lens and some accessories including a shotgun microphone for some videos I might shoot while on the go. The front pocket on the outside of the bag can hold a nice pair of glasses in the sleek polished pocket linen. The pocket that resides underneath hold my Nomad in-ear headphones which are just a pleasure in itself. Padding on the straps and back of The Ruck cushion your shoulders and back when you load up the backpack with all of your gear. The straps’ Air Mesh material allows air to flow through the straps for added comfort. The durable polyester fabric holds up to everyday wear and tear. Plus, The Ruck is backed by a three-year warranty. I know that some of you might be interested to know the gear that’s featured in this backpack edition right? I’m carrying a Toshiba Z-30B running dual boot Windows 10 and Linux. You’ll also find as noted above a Nikon D5300 with 2 lenses for photography and some accessories for light dissipation and reflection. I carry a Yogabook from Lenovo which runs Android. There’s also a Jackery 20400mAh battery pack and I’ve already listed the other accessories above. The Ruck Backpack is available at Speck for $49.95 and it’s a good deal for anyone who’s got a bit of tech to carry around as well as anything else a student may need.